The most dangerous city in America. At one time, this great city that we know today as Portland, Oregon, was a river town whose beginnings we often look upon as being nothing more than a humble Victorian settlement. But in the later part of the 19th century and at the turn of the 20th century, America was home to one of the most dangerous vice-filled cities in the world, and the most dangerous in America, Portland Oregon! ​In 1913, Portland’s population was 276,000 people. Remarkably, it changed from it’s mud, blood and beer dominated early days, to the newer, gentler Portland where Simon Benson’s sparkling water fountains (the Benson Bubblers) and wholesome activities such as the sweet-smelling Rose Festival meant that taverns were no longer the only places in town to whet ones whistle, and that there were healthier alternatives of entertainment. This "split-personality" Portland was one of the busiest ports on the globe in the early 1900s, and it had happened in spite of the colorful types who resided here. Some of these shady types promised to shanghai sailors for ships captains. At one time, this great city that we know today as Portland, Oregon, was a river town whose beginnings we often look upon as being nothing more than a humble Victorian settlement. But in the later part of the 19th century and at the turn of the 20th century, America was home to one of the most dangerous vice filled cities in the world, and the most dangerous in America, Portland Oregon. Today it’s among the countries most desirous places, but it secretly harbors an underworld darker than you can possibly imagine. Walking around today you would never know it. Portland’s seedy past is buried beneath its streets. 100 years ago, this was a Wild West port town where you could be kidnapped and sold into slavery, where gambling, drugs, prostitution and murder were on every street corner. Whether its trap doors used to kidnap unsuspecting victims, the eerie recesses of a drug utopia, the lost stash of the cities bootlegging queen Prohibition Rose, or even an illegal underground fight club, Portland had more dark corners than any medieval dungeon, and danger loomed around every corner. Today it is a model city; clean, safe, progressive, but look beneath its cappuccino houses and book stores, and Portland’s past is soon revealed. In the late 1800s, Portland was known as one of the most "dangerous ports in the world" because of the "Shanghaiing Trade" that existed here. It was easy to find a good time with Speakeasies, brothels and drug dens. Stopping for a drink in such innocent looking but notorious establishments as Erickson's Saloon (right), suddenly a trap door (deadfall) would drop open and they would plummet into a dark underground. They didn’t know it yet, but they've just been ‘shanghaied’, and found themselves beneath the streets in tunnels (the Shanghai Tunnels, less commonly known as the Portland Underground) and being carried out to the waterfront and sold for "blood money" by the 'crimps'**... There was no other place like it through the entire United states. Fame spread world-wide as sailors carried word of Erickson’s 16-ounce nickel beer, hard drinks, 2 for a quarter, its free meal of gargantuan proportions (as long as you keep drinking), its 684 ft. bar & its delightful lady performers in the Cabaret Grill. 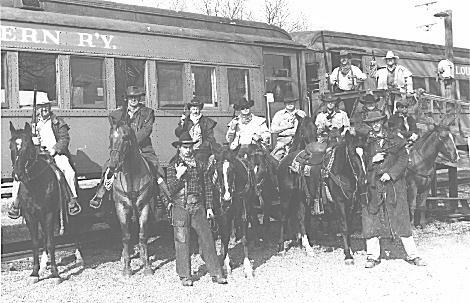 Loggers, farm hands & other robust working men came to Erickson’s, some to spend their stakes in one nights reveries, buying drinks all around, but others were not so fortunate. Portland, Oregon, the Victorian-refined "City of Roses" along the Willamette River, earned the reputation of being the "Shanghai Capital of the World" because of this uncontrolled shanghaiing of unsuspecting men. Ship captains paid bartenders to drug single intoxicated men that hung out in the waterfront area in order to lure them into the dark tunnels. Thousands of them found themselves in the clutches of shanghaiers and crimps that either forcibly grabbed them off the streets, or slipped "knockout drops" in their saloon, pool hall, and gambling parlor drinks. They were hauled out of opium dens and houses of prostitution, or cleverly dropped through "deadfalls". The term “Shanghai” was commonly used as most of the ships involved in this act were destined for Shanghai and the orient in general. Portland was unique because trap doors (known as "deadfalls") were used to drop the unsuspecting victims into the "Portland Underground", where they were forcibly held in cells until the ship was ready to set sail. The catacombs, which "snaked" their way beneath the streets of what we now call Old Town, Skidmore Fountain, and Chinatown, helped to create an infamous history that became "cloaked" in myth, superstition, and fear. With the cooperation of police, politicians, and big business leaders, these riverfront neighborhoods became more notorious than the "Barbary Coast". Women, in early Portland's history, had to also be cautious when venturing into certain areas of the city. They were warned not to go to dances and to stay out of restaurants, saloons, and other establishments of the evening. They too, became victims of this shadowy part of the city's history, and found themselves being carried or dragged through this infamous "network" of wharf rat-dominated shanghai tunnels, and, unfortunately, sold into "white slavery". Like a "speck of dust", most of these women just seemed to vanish and were never heard from again. 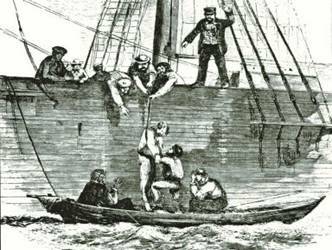 The victims were held captive in small brick cells or makeshift wood and tin prisons until they were sold to the sea captains. A sea captain who needed additional men to fill his crew notified the shanghaiers that he was ready to set sail in the early-morning hours, and would purchase the men for $50 a head. "Knock-out drops" were then slipped into the confined victim’s food or water. Unconscious, they were then taken through a network of tunnels that "snaked" their way under the city all the way to the waterfront. They were placed aboard ships and didn't awake until many hours later, after they had "crossed the bar" into the Pacific Ocean. It took many of these men as long as two full voyages --- that's six years --- to get back to Portland. During the "heyday" of shanghaiing, a minimum of 1500 people per year were shanghaied out of Portland. The remnants of Portland's infamous history of the "Shanghai Tunnels" and the "Portland Underground” is still with us. The stories have lingered, along with the rubble, the trapdoors, the secret entrances, and the catacombs that still extend their presence beneath the sidewalks, streets and buildings. 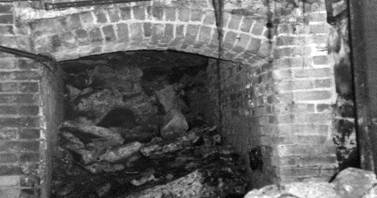 You can see the surviving artifacts of this shocking history of shanghaiing and view the remnants of these infamous secret catacombs that earned Portland such a dubious reputation. ** A crimp was a lot like a “sea-pimp,” and these base bounty hunters practically ruled the Waterfronts of Portland and Astoria in the late 1800s. Originally a British slang term for “agent,” crimps would act as maritime middlemen, using any means necessary to deliver warm (at times), usually drunken or unconscious bodies to awaiting sea captains. The resourceful crimp would then receive his “blood money,” usually anywhere from $25 to $50 a head, sometimes going as high as $150, depending on the circumstances. By far the most colorful of these crimping (shanghaiing) tales invariably involve a squat, steely-eyed Liverpudlian named Joseph “Bunco” Kelly (right). Perhaps the Da Vinci of crimping, Kelly’s nickname is a testament to his shanghaiing artistry. Kelly’s most famous ruse garnered him—and Portland’s waterfront— a rather infamous international reputation. One somber October night in 1892, when combing the streets of Portland for 20 men to flesh out the crew of The Flying Prince, Kelly spied an open sidewalk trap-door on Second Street and Morrison. Upon climbing down a steep ladder, he came across 24 apparently deeply inebriated fellows in a candle-lit cellar, moaning and gasping. The acrid stench of formaldehyde permeating the chamber quickly led Kelly to deduce that these men had mistakenly broken into the basement of what they thought was the Snug Harbor Saloon next door, but was in actuality the cellar of Johnson & Son undertakers. Thinking the cellar was a part of the Snug Harbor Pub; the men had each consumed cups of embalming fluid, which they had mistaken for liquor. When Kelly found them, several had died and others were dying. Never one to miss an opportunity, Kelly hurried out of the cellar (closing the door behind him to avoid pesky fresh air from reviving his besotted booty) to fetch some goons to help him transport his expiring merchandise. Claiming the dead were merely unconscious from too much drink, Kelly sold all 24 to a captain whose ship sailed before the truth was discovered. The captain, after relaying that he had “never seen so many dead drunks in his life,” shelled out $50 each for the 14 corpses and 10 severely ill men Kelly had delivered unto him. The next day, the first mate of the Prince made the ghastly discovery and the ship proceeded to dock and unload its carrion cargo, causing an international uproar that started an international investigation centering on Portland’s crimping practices. 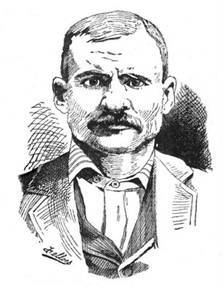 By far the most colorful of these crimping (shanghaiing) tales invariably involve a squat, steely-eyed Liverpudlian named Joseph “Bunco” Kelly. Perhaps the Da Vinci of crimping, Kelly’s nickname is a testament to his shanghaiing artistry. Hauling the drugged shanghaied aboard ship!